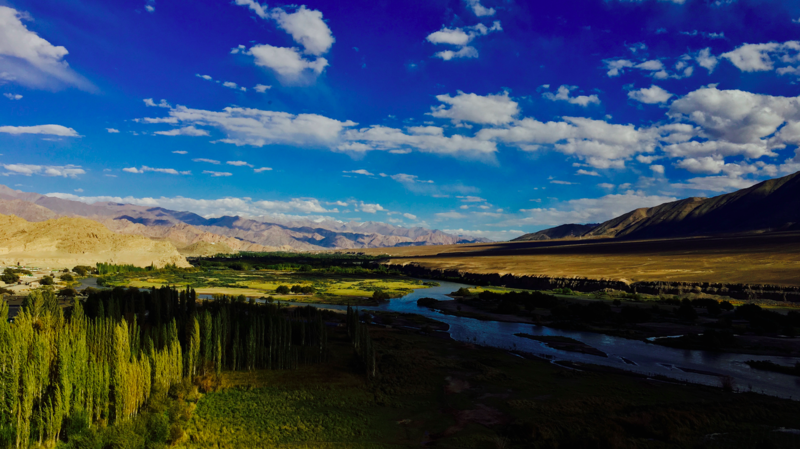 In the previous article of this series (link below), I was en-route to the airport for a trip to leh ladakh owing to the wonderful opportunity posed to me by woodland. This article is all about my journey thereafter. 4th, September morning, 07:00AM I reached the airport where Rahul was already waiting for me. Oops forgot to tell you who’s Rahul. 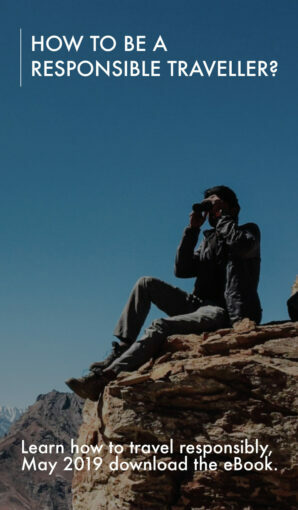 Rahul Chakraborty is a photographer for woodland. I and rahul got our boarding passes after a really long tiresome queue. 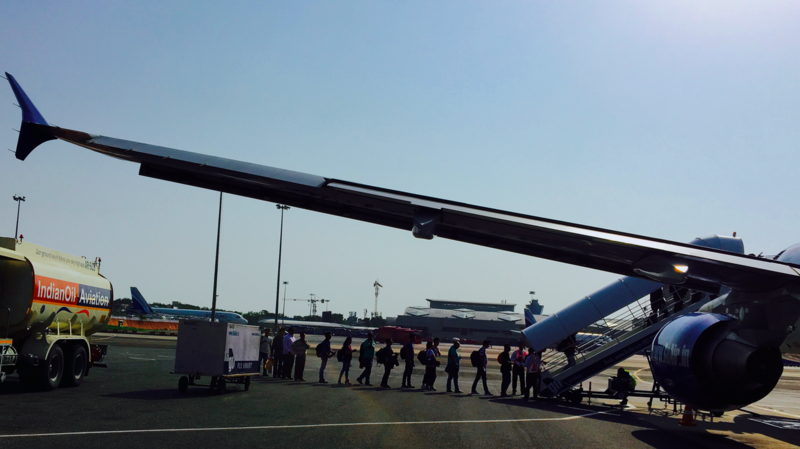 Then we waited there at the airport a little longer for the other members as well. 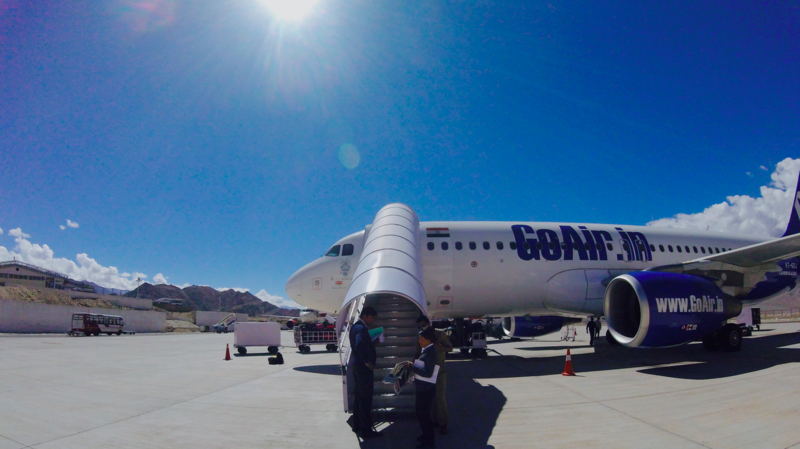 Soon after Miss Manisha, PR & Communications Head Woodland Worldwide and Mr. Harkirat Singh, M D Woodland Worldwide, along with Mrs. Singh joined us there and we finally flew to Leh Ladakh. 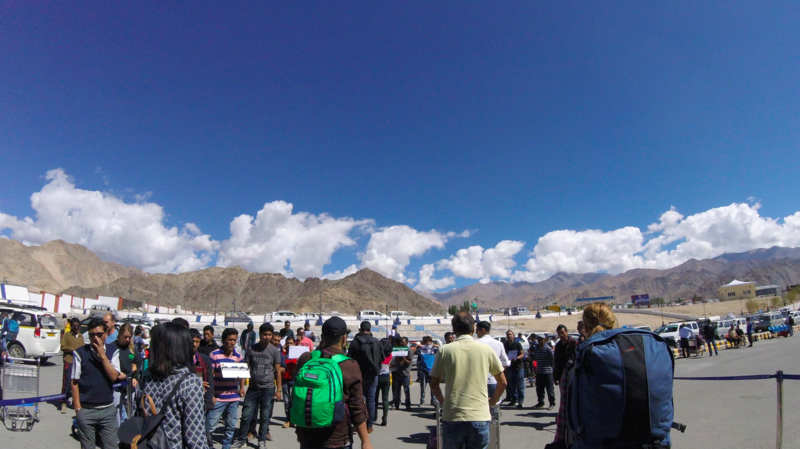 As soon as we landed in leh Ladakh, we could feel the cold and had to take out our warm clothes. 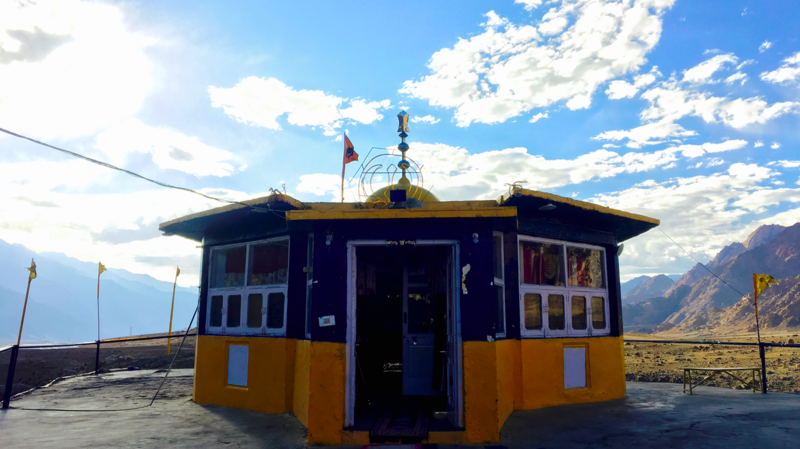 From the airport, we reached to Hotel Namgyal, 15 minutes drive. 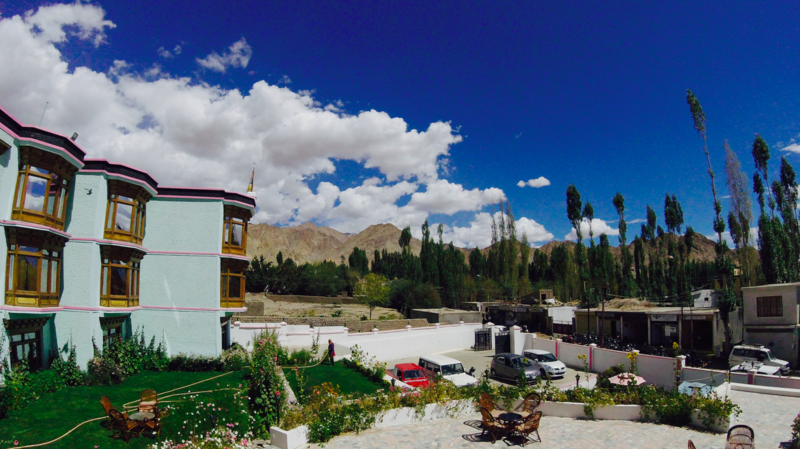 In this very hotel I met Ms.Apoorva Babbar from WWF, who joined us for the leh Ladakh trip. Three more people were here on behalf of several media houses. We all freshened up and after about 40 minutes, around 2:00PM, we all met in the hotel lobby and headed towards the shanti stupa. On the way we enjoyed the local market and the street food & then we went to “The German Bakery” where food was not really that good. 😛 (p.s. If you do remember my other blogs you will realize that I have a keen interest in good food). 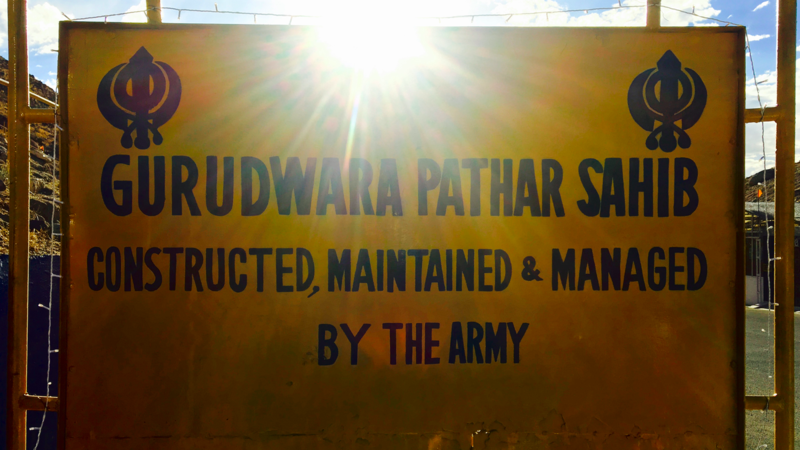 Infact, it wasn’t even a bakery I would define it a tiny and local mismanaged dhaba. 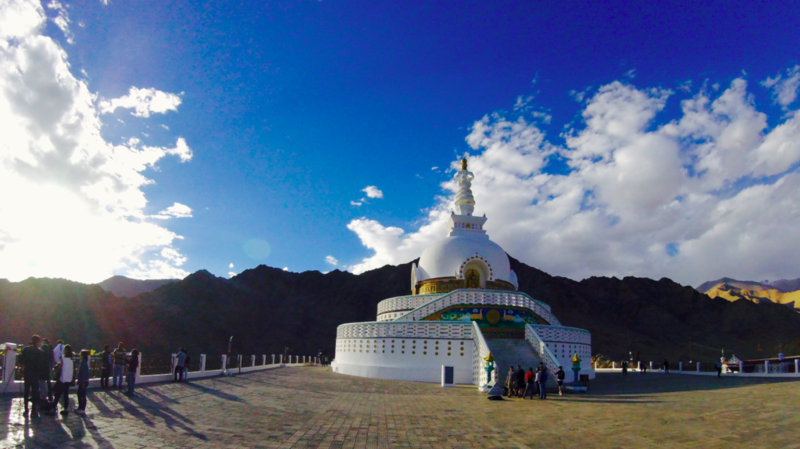 Again coming back to the Shanti Stupa, it was built to promote world peace and prosperity. 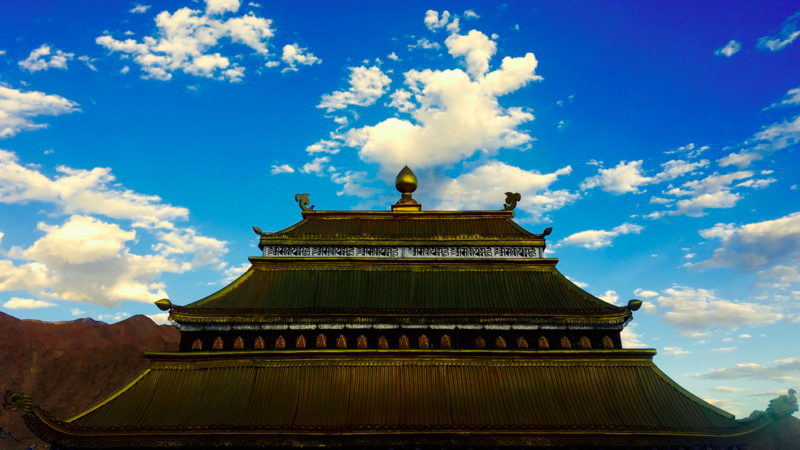 Also to commemorate 2500 years of Buddhism. It is serene and present at a high altitude which magnifies its presence in the area. The view from here is spectacular and the sunset was exceptionally vivid and beautiful. At 6:30PM, we started our walk back to our hotel on the way some of us did some shopping. While others were busy bargaining their favorite goods, i was busy in making a very important observations. 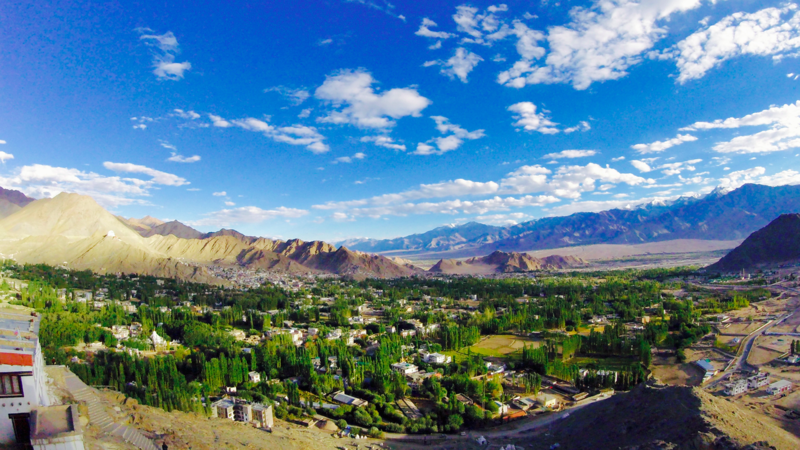 Leh Ladakh used to be a very pure human interference free place. But, over the years Tourists/Traveller(we) and other locals have commercialized the place in such a way that one side you would see a beautiful landscape and on the other side a pile of junk. Consequently, this highly contrasting image is a comparison between what nature has made and what humans have made. I feel that this is the responsibility of every traveller. When you visit a place, make sure that when you leave nothing has been changed by your presence. Let the future generations also enjoy the amazing marvels of mother nature. Let us not deplete them for after a while they may not be the same ever again. After this long thought process I went back to the hotel and then had dinner trying our hands on the local cuisine. The food was not really that good yet again, it was not prepared properly. Moreover, most of us did not have a habit of eating this much maida, another reason for not being able to appreciate (or digest) the food. 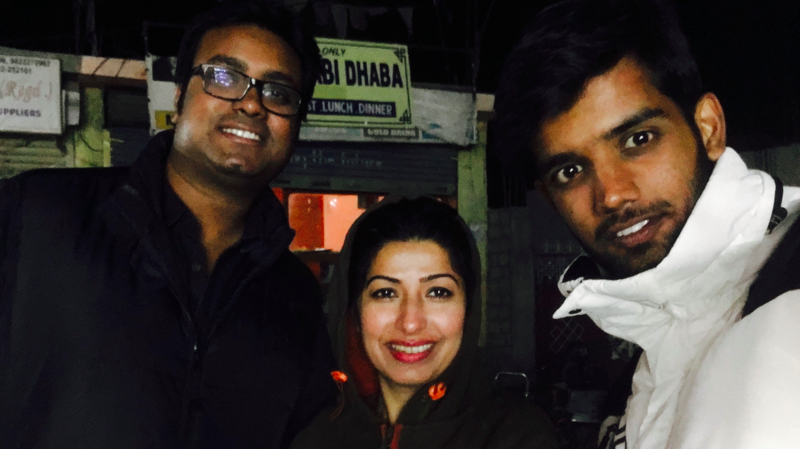 After food I, Manisha and Rahul went out for a small walk in the cold and shared some good memories. Small walks are the most beautiful ways to fully understand someone, lead to a good relationship and also appreciate the wonderful surroundings. And then we finally ended the day and I went to bed with a promise to meet tomorrow morning at 10:00AM (hopefully) with the rest of the team for breakfast. As a result, we did have some amazing places to checkout the following day as well. 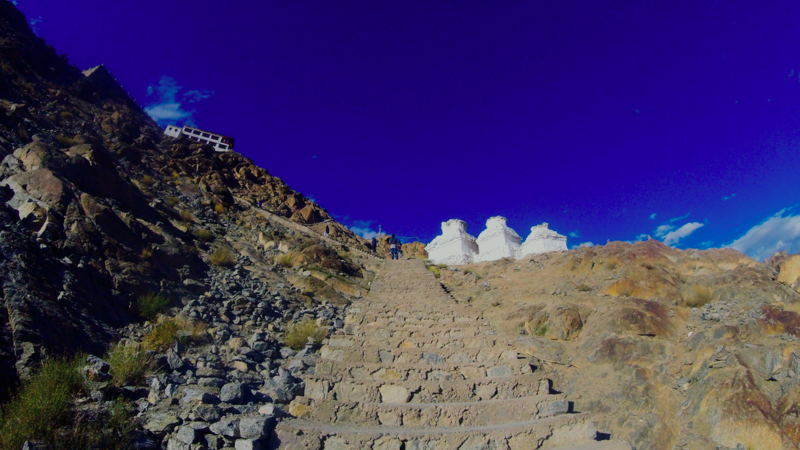 11:00 AM we were in our cars and heading towards the hemis monastery. Interesting thing about this place was that it was re-established in 1672. 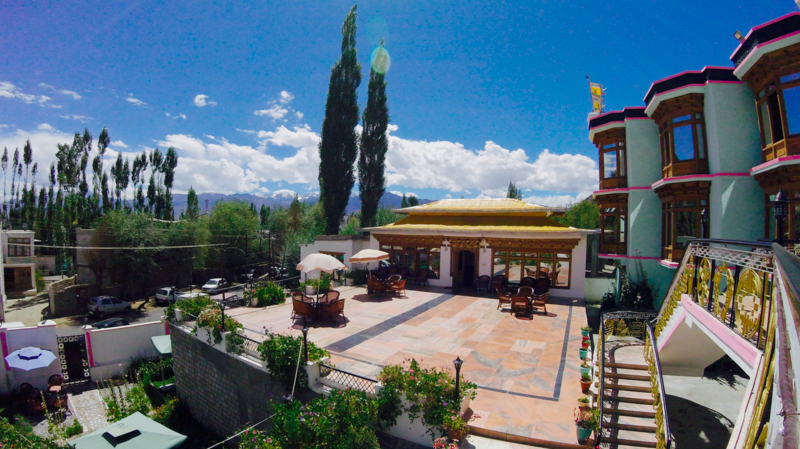 It is the host to The annual Hemis festival honoring Padmasambhava in early June. On other times it is also a museum showcasing the local heritage of the place. 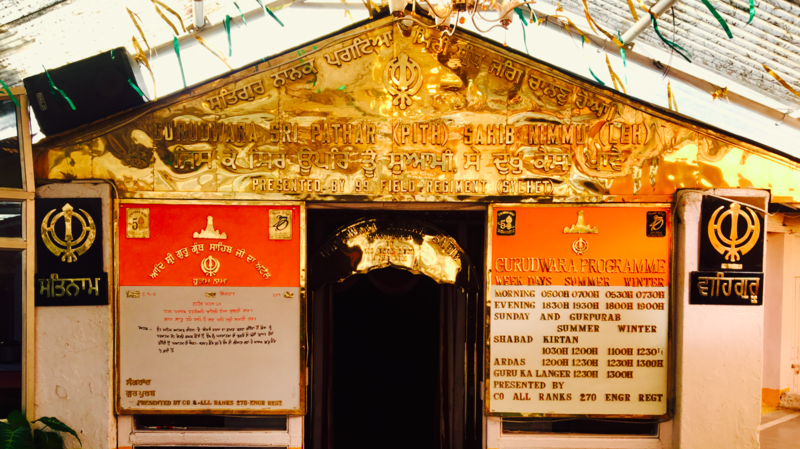 Our second checkpoint was Gurudwara Pathar Sahab. This place has a lot of stories associated with its origin and most of them are without solid proofs yet all of them fascinating. 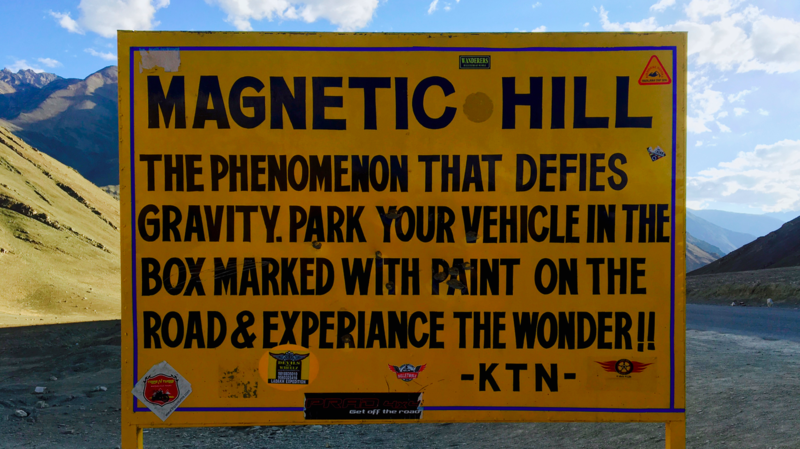 Third place on our list was the famous magnetic hill. 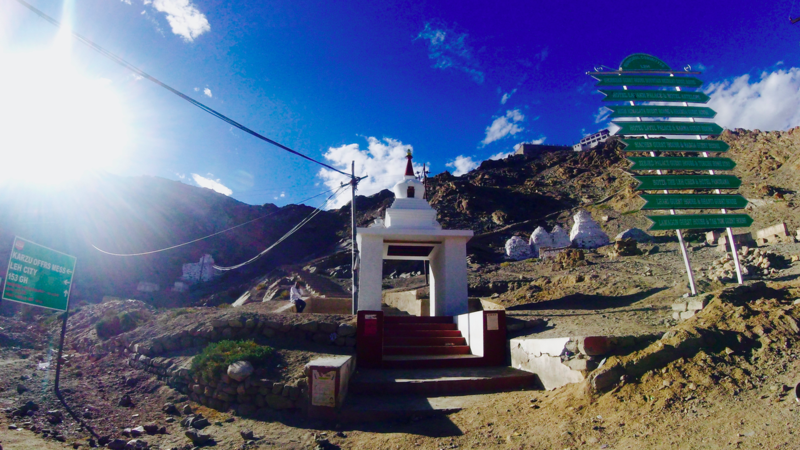 It isn’t the most life changing kind of experience that you will have in leh but, it definitely is one of the experiences worth having. Last stop of our adventure trip for that day was the Sindhu-sangam. 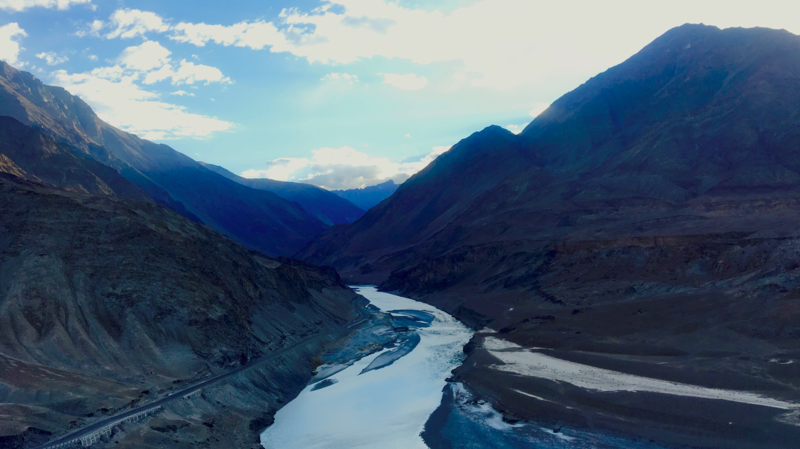 It is the beautiful place of amalgamation of the Indus and the Zhanskar river, one can very easily spot the difference in the concentration of different minerals resulting in different colors of the two rivers.  When viewed from a height you can easily see how these originate from different places yet become one. With this ode of the two rivers joining hands and bidding farewell to their individuality. I will break from you here. But, the adventure isn’t over yet. there are still loads of amazing places to visit. I’ll be back again with another part of the “Unexpected Trip to Leh Ladak with Woodland” Stay connected.